(46 words) While this is not the worst short I have ever seen, it is sloppy and full of superfluous words. Once it is established that the story is about penguins, you do not need to keep repeating the word. ‘After’ is not necessary. Plainly the killings happened after the fox got in, not before. Why do you need the word ‘water’? Obviously the staff who are quoted work at the park, not the nearby greengrocer’s. Cutting these words leaves room for extra information. Young penguins are called ‘chicks’, not ‘infants’. The Telegraph website fared no better on July 25. 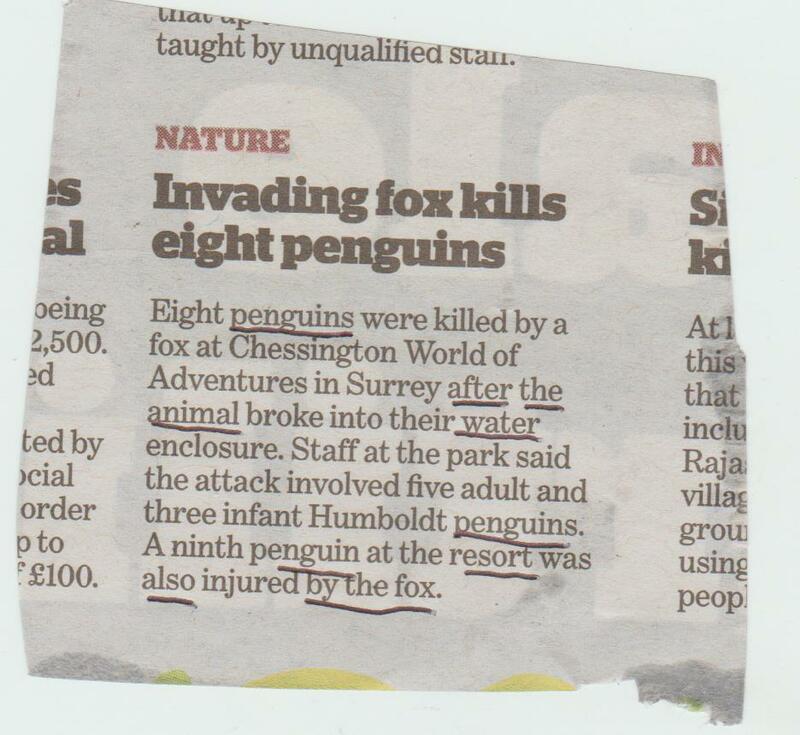 [The penguins were] killed by a fox which snuck into the Penguin Bay under the noses of security cameras. ‘Snuck’ is an ugly Americanism. In Britain we say ‘sneaked’. ‘Under the noses of security cameras’ is an odd expression. Perhaps it means ‘eyes’. However, it would be better to rewrite the sentence to include information from further down the story: The enclosure was covered by security cameras which staff admitted were not being monitored when the fox sneaked in. Employees at the world famous park were allegedly warned not to talk about the penguin massacre. If it is famous, you don’t need to say so. If it is not famous, the description is inaccurate. “ . . . it’s not something our zoo license says we have to do,” she continued. She added that . . . an investigation was underway to identify how the fox managed to break in. ‘Under way’ is a nasty piece of newspaperspeak, but if you must use it, at least make it two words. It would be better to say ‘She added that . . . staff were trying to discover how the fox broke in’, though if they haven’t found out in a month they probably aren’t going to, so it may be better to leave it out. This kind of thing does make me cross. Some numbskull sees the word ‘shark’ (or ‘spider’ or ‘snake’) and thinks, ‘Ooh, scary!’ The fact is that almost all sharks, including this species, will not attack humans unless provoked. Many consider sharks (and spiders and snakes) to be interesting and beautiful. It is thoughtless to indulge in this kneejerk reaction, childish to use the word ‘scary’, and a cliche to mention Jaws. Incidentally, so what if the photographer comes from Cincinnati (which is several hundred miles from the sea)? The question is, where was the shark? Grrr. ‘Sic’ means ‘so’ in Latin, and is used when you are quoting something with an error in it to show that it is not your error. As an example, here is one of my favourite lines from a floral tribute: ‘She is with the angles (sic) now’. 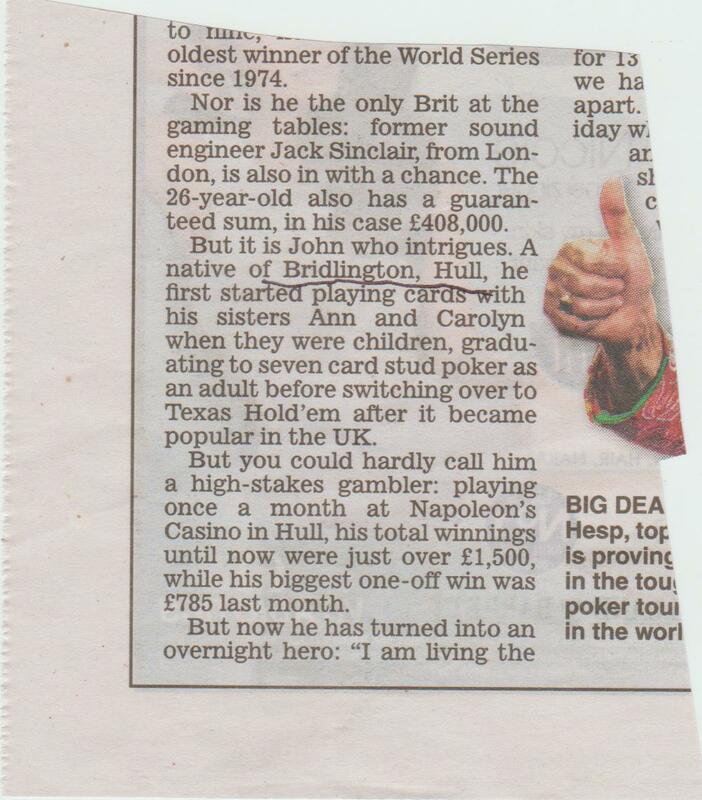 The Times writer may have needed to use ‘no pun intended’, even though I think it was intended. 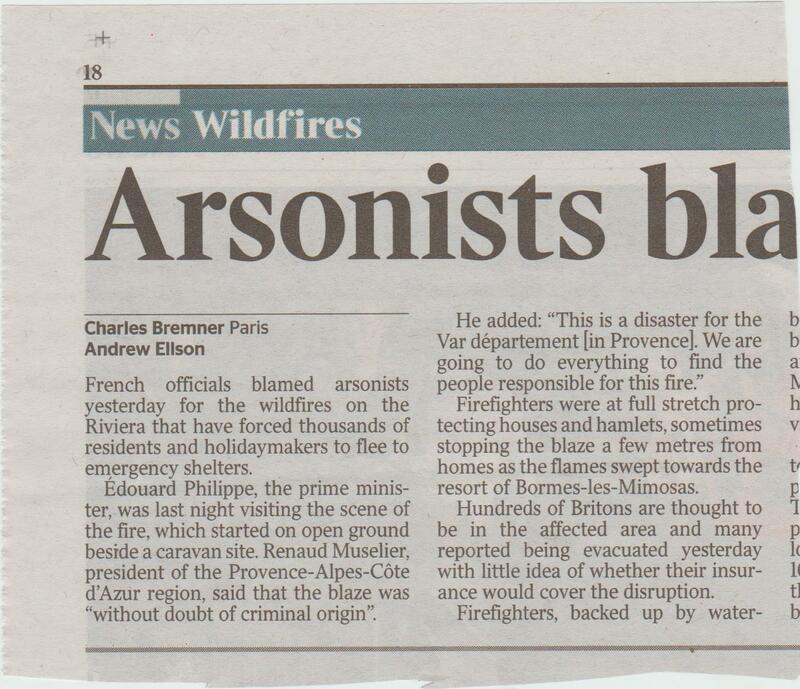 Wildfires on the Riviera which have forced thousands of holidaymakers and residents to flee were started deliberately, say French officials. ‘Silent’ cannot be qualified. It is either silent or it is not. This should say ‘the quietest car in the world’. (96 words) This story is meaningless unless you know the distances involved, and it suggests that the only discipline is cycling. Looking up Ms Hutton, she lost her lower legs rather than her feet. The story should mention where she is from. If you are going to say it is the world’s largest triathlon you need to say how many competitors there were. A woman who has had her hands and lower legs amputated completed the world’s largest triathlon with 14,000 other athletes in London yesterday. Corinne Hutton, 47, also had most of a lung removed as a result of her near-fatal bout of septicaemia in 2013. She finished the AJ Bell triathlon course, which comprised a 400m swim, 10km cycle ride and a 2.5km run, in one hour, 52 minutes. 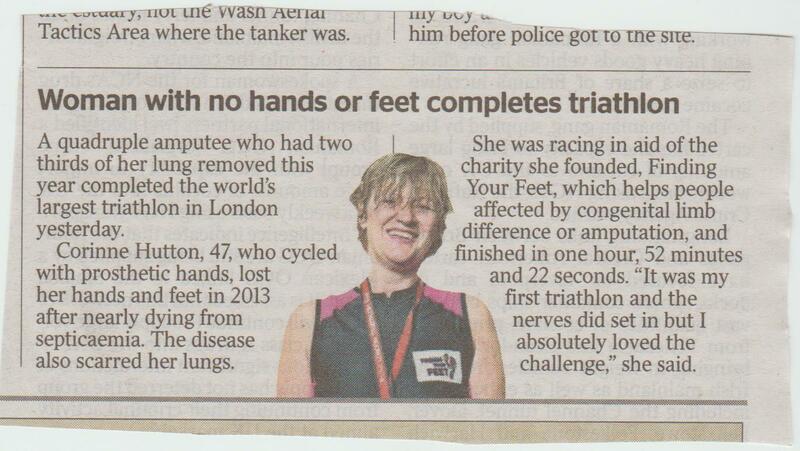 She was racing in aid of the charity she founded, Finding Your Feet, for people affected by missing limbs. What is it about restaurant critics that they feel the need to show off with fancy words? My husband and I have read a lot in our time, and we had never seen this one. Nor had an even better-read friend. It turns out to be a French word meaning ‘sudden deterioration’. 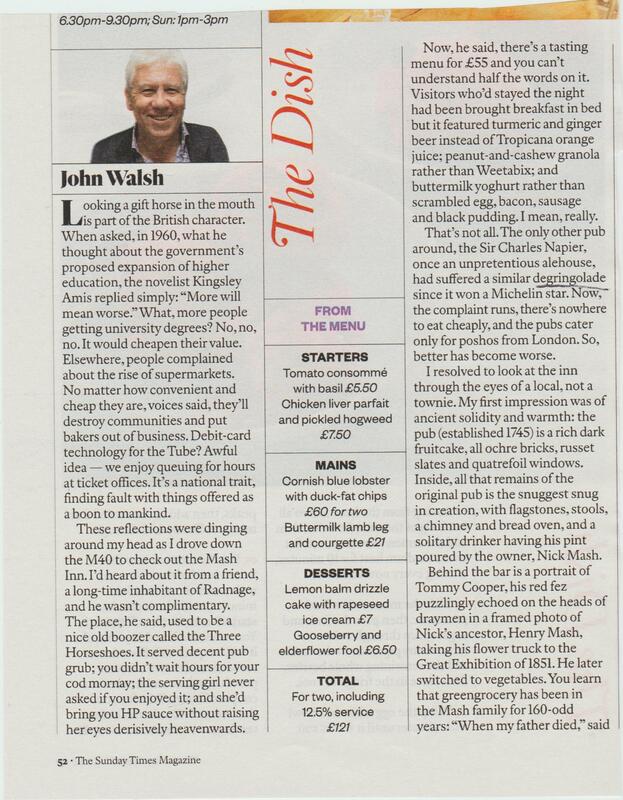 I have given a large chunk of this tedious review so that you can judge for yourselves if it is le mot juste. It doesn’t make a lot of sense to me. Anyway, as it is a French word which is in no measure anglicised, in my opinion it should be in italics and have an acute accent over the first ‘e’. Better still, don’t use it at all unless you want to look silly. 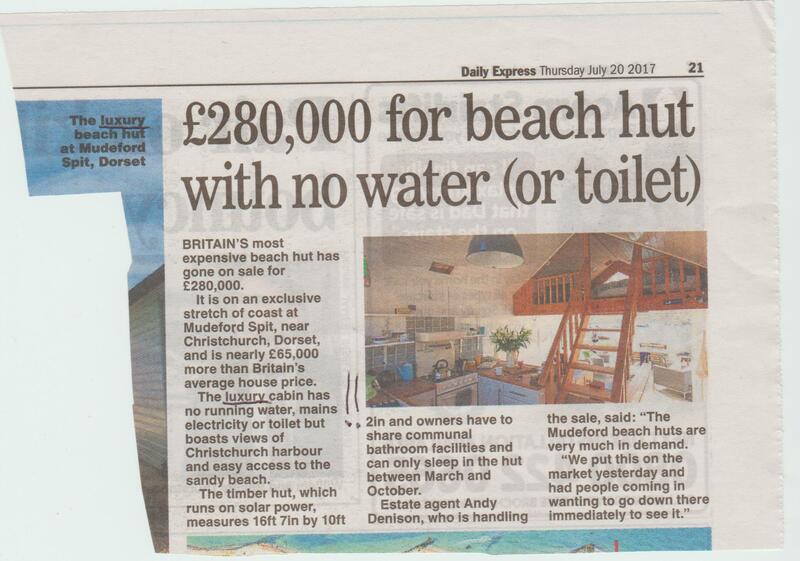 I wonder how Express subs live if they think that a hut without running water, mains electricity or sanitation is ‘luxury’. Worse, using the word destroys the point of the story, which is the contrast between the high price tag and the lack of facilities. The heading has the right idea. This ignorance astounds me. I would have thought everyone knows that Bridlington is not part of Hull, but is a separate town, and traditional holiday resort, nearly 30 miles away. (145 words) This story is meaningless without giving the present journey time and the distance between the two cities. If Elon Musk is well enough known to be in the headline, he should be in the intro too. I think if something is called ‘Space X’, you can take it that it has something to do with space. 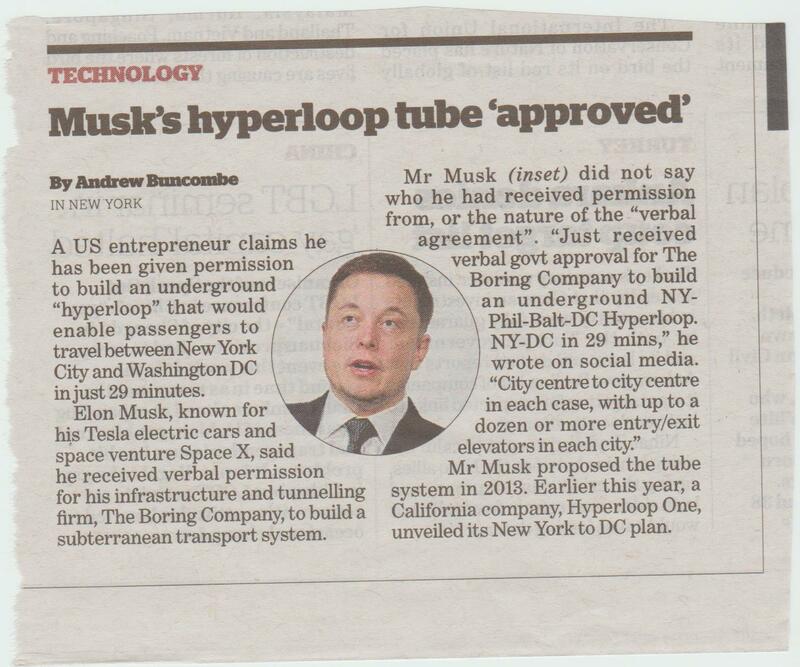 The technological entrepreneur Elon Musk claimed yesterday to have received verbal permission to build a ‘hyperloop’ which would transport passengers the 220 miles between Washington DC and New York City in just 29 minutes. The present journey time by train is about three hours. Mr Musk, who is known for his Tesla electric car and Space X rocket venture, did not specify who he had dealt with at the White House.